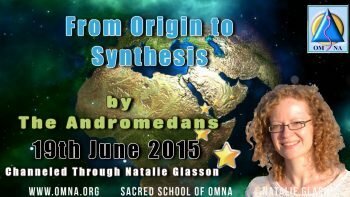 The Andromedans are one of the most evolved civilisations working with the Earth at this time of Ascension, their civilisation is very large inhabiting the Andromeda Galaxy in the constellation of Andromeda. It is a spiral galaxy approximately 2.5 million light-years away from the Earth. Their technology is far beyond anything we have experienced on the Earth as is their connection to the Creator. 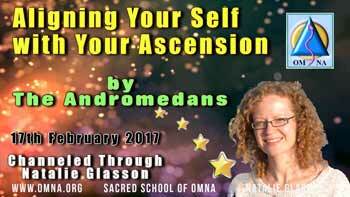 Lady Vessa Andromeda and Master Andromeda herald from the Andromedan civilisation and are working as overseers of the 10th Ray of Light of a pearlescent colour where they support and guide souls in acceptance and soul integration. They are always present when your soul expands becoming a more truthful expression of the Creator. 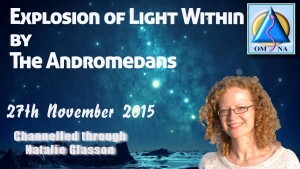 Call upon Lady Vessa Andromeda and Master Andromeda to support your further integration with your soul and your soul’s integration with all that is the Creator. 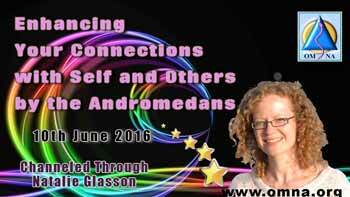 The Magic of the Flower of Life by the Andromedans 29th January 2016 .